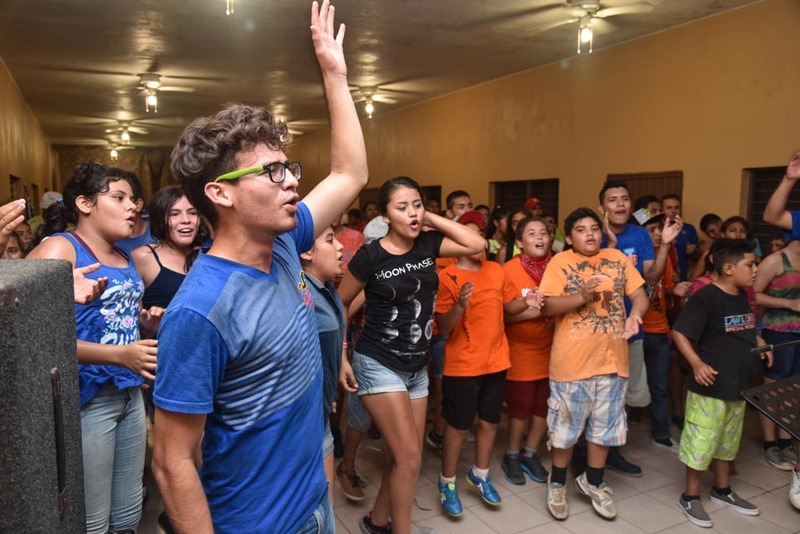 Octavio Ramos and his family will be receiving a new home this month. 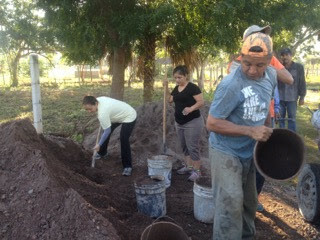 Last Saturday, some church members came out to help pour the floor in preparation for next week's build. 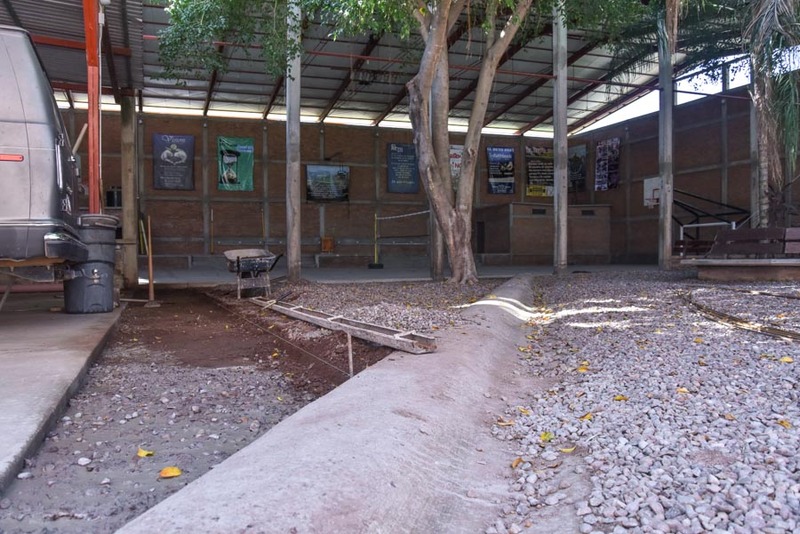 The house will be built in one week with the help of the Centro Cristiano Cofradia family and sponsored by our friends from Hosanna Asamblea in Bellevue, Washington. We are looking forward to helping this family as they have been living in a chicken coupe that leaks for the past few years. This is a major step up for a family who is unable to do this with their income. 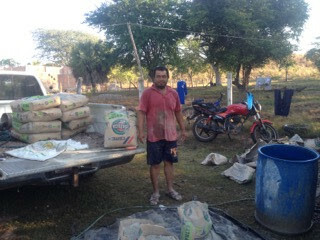 Octavio, the owner of the house. This is their current living conditions. 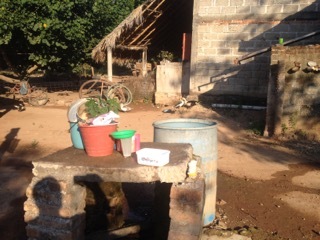 This is where they wash dishes, clothes, and shower. Contact us about helping another family. Here are the current candidates. Greetings from Cofradía, Mexico! Merry Christmas! We pray that this season the Lord shows himself to you in a very special way. Thank you for your prayers and involvement in our lives and ministry. You all mean so much to us! Drug Rehab Center. We have been in contact with the owner and the initial payment is in process. House Build - Dwellings Team. 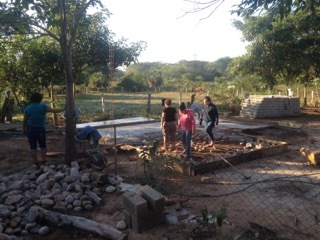 We had a successful build with the Dwellings team that came down to help. It was initially meant to be a training build in order to teach the Cubans how to build these homes in Cuba through the Dwellings ministry there. 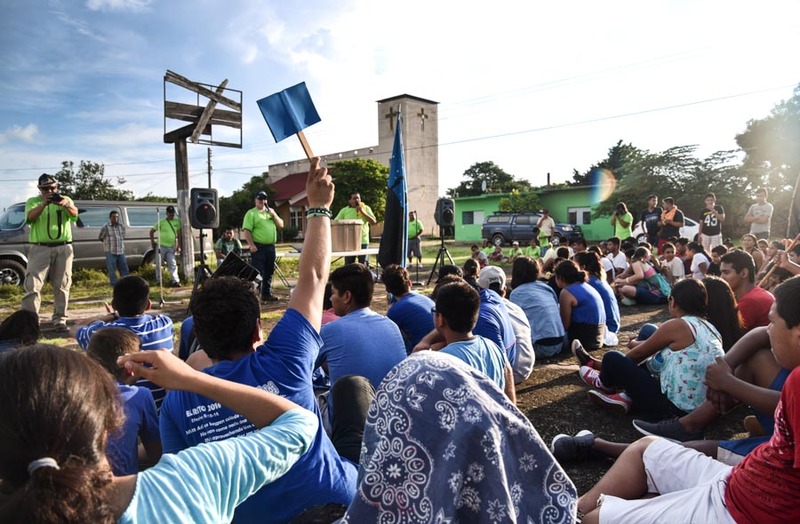 The Cubans were unable to obtain a visa to enter Mexico so everything was documented and those who were here will go and teach them in March with the possibility of a couple men from here joining them. In the end, the receiving family was very thankful and blessed. They had been living in a small mud hut that his grandparents built years ago. Here is a quick report. 16th Anniversary! Geña and I celebrated our 16th anniversary as we took the team back to Mazatlan. 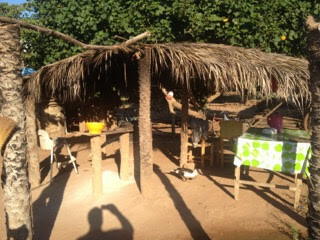 We enjoyed the company and were able to sneak out for coffee after dinner and in the morning before breakfast. 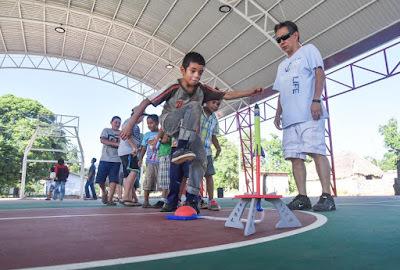 Public School Mini-RETO: We helped Pastor Hector Robles do a two-day mini-RETO in San Ignacio, Sinaloa with a Jr. High school. One of the teachers of the school made this a project to help students who were struggling with their grades. His desire was to try to help them have a different perspective. It was difficult at times to capture and hold their attention, they had no idea what this was. By the end, they all seemed to enjoy themselves. Pastor Paulo Bermudez spoke about Identity and Relationships in his two talks. Bible College: Fall classes are finished and the students are working on their final exams. 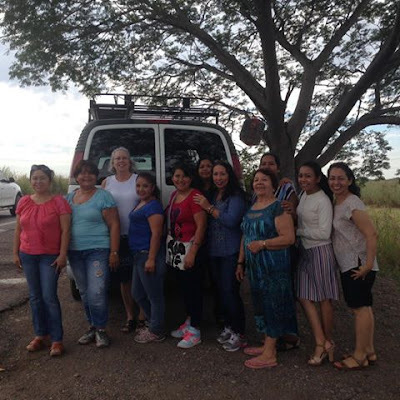 Mazatlan Women’s Conference: The women left for the conference yesterday and will be there until tomorrow. Reports are that they all are enjoying themselves! 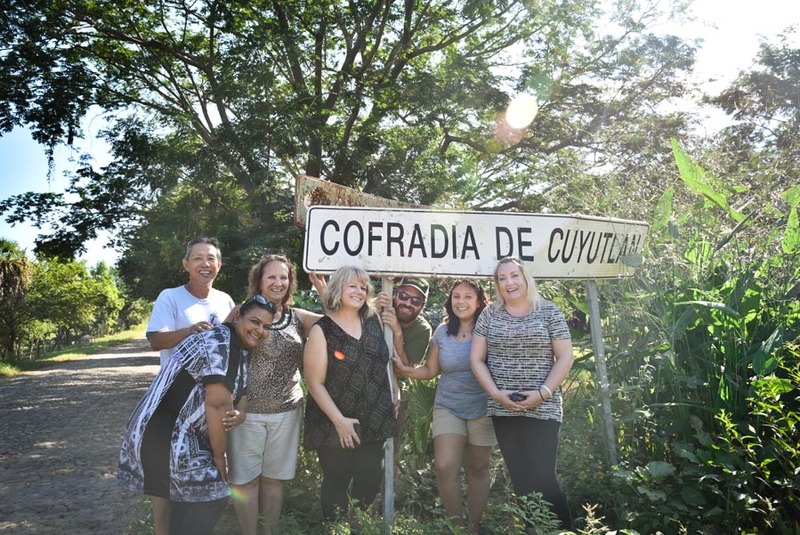 Cofradia Dwellings Candidates: Click here to see four families who are in need of a home. Pastoral Perspectives: Click here to read bi-annual reports from three of our Pastors. Mazatlan Women’s Conference: Eleven women from our church are in Mazatlan for a women’s conference this weekend. 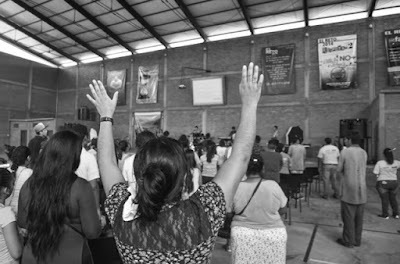 Pray for the Lord’s anointing on the speakers and open hearts for the women. Also pray that the Lord works on the hearts of the husbands who will be staying home. Drug Rehab Center. Please pray for Pastor Amado and his team for protection over him, his family, his staff, and all of those involved. 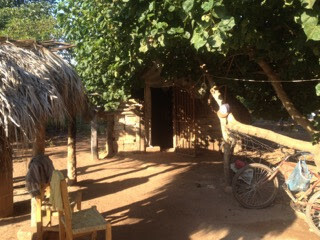 Let me know if you can help make a dent in the financial need he has in order to get this ministry safely on it’s feet. Bible College: Please pray for us as we continue to analyze the direction the school is going, what classes to offer next year, and how to offer them. 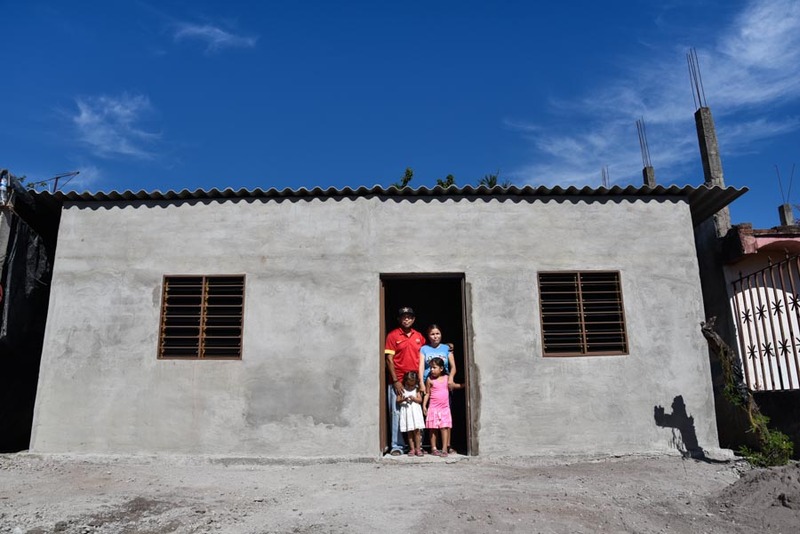 This was the 10th house we've built for a needy family in Cofradia and the surrounding areas. Five men from Washington and Arizona came down to bless this family. 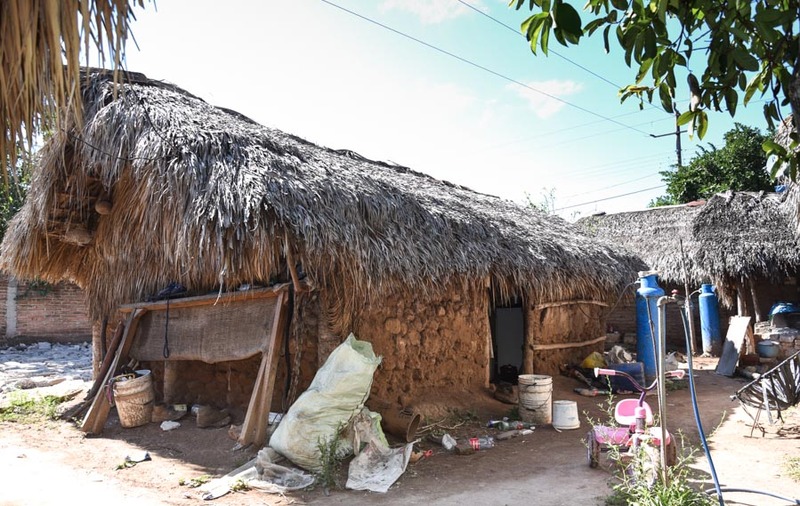 As you can see by the picture of the mud hut they lived in previously, this family truly has been blessed with a better place to live. With their economical situation that does not allow them to save money, this was very appropriate and we are excited for Abel and his family. 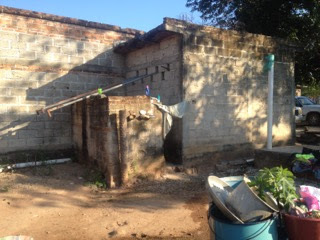 This is their former house that Abel's grandparents built years ago. Abel and his family in their new home. 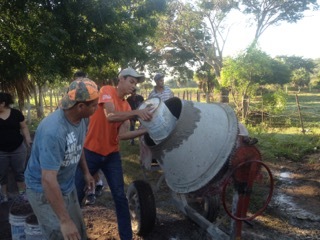 This build was originally planned in order to bring Cuban workers over from Cuba who will be building similar homes through the Dwellings ministry. There are a couple of builds already lined up for March. Since the Cubans were unable to obtain a visa, everything we did was documented in order for the men who were here to teach them how to build this style of home. Drug Rehab Center. We are still having difficulties communicating with the owner of the land. Our hope is that this month we’ll be able to get into contact...all in God’s timing! House Build - Dwellings Team. 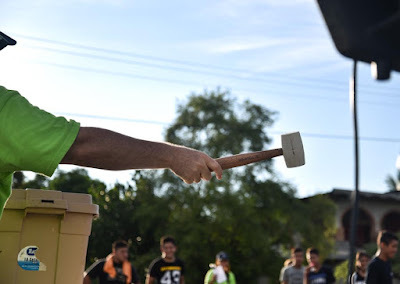 We are hosting a team of men who will be here November 12 – 19 to build a home for the Ramos-Arreola family here in Cofradia. 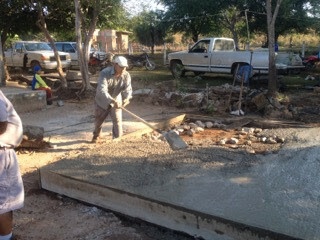 We just poured the floor last Saturday and are preparing for the team’s arrival. Sandy Garzon. This is Sandy’s last month as a missionary staff with us. 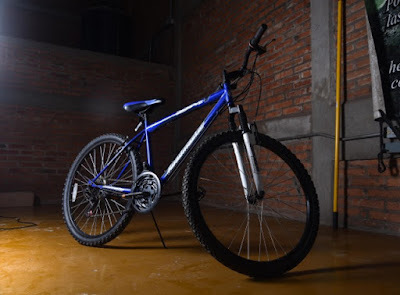 We have been working on transition for a couple of months and she is excited for her new adventures. Please continue to pray for her. Cofradia Dwellings Candidates. 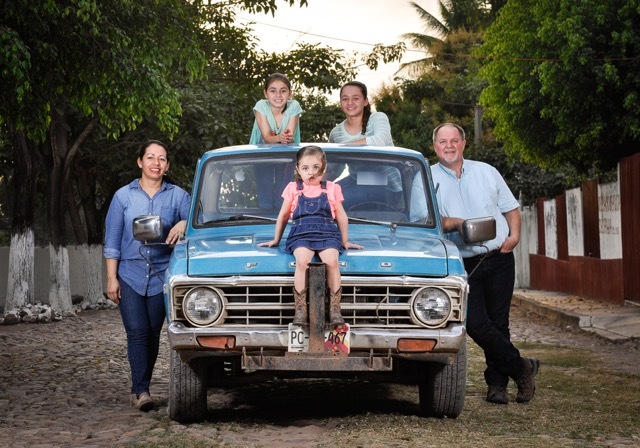 See four families who are in need of a home. Drug Rehab Center. Please pray that we can get into contact with the owner of the land. 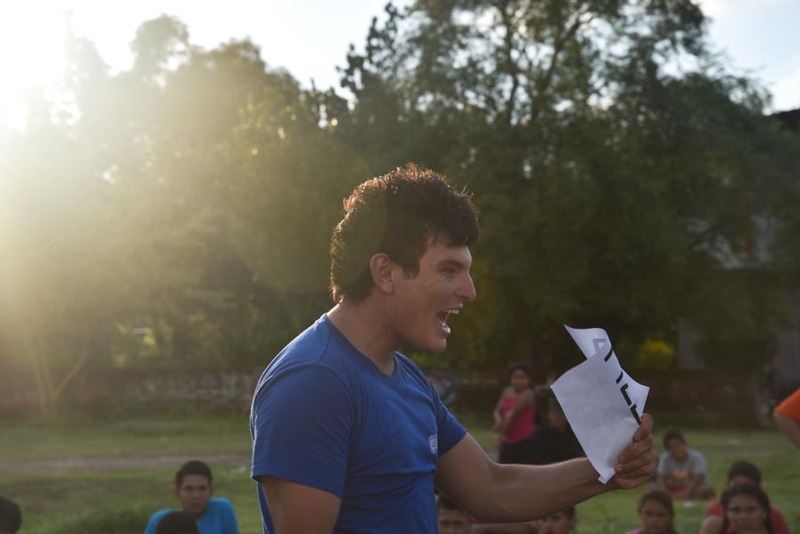 Please pray for Pastor Amado and his team for protection over him, his family, his staff, and all of those involved. Let me know if you can help make a dent in the financial need he has in order to get this ministry safely on it’s feet. 16th Anniversary! Geña and I will be celebrating 16 years of marriage on November 18. Thank you to all who have been a part of our lives, family, and ministry. We love you! 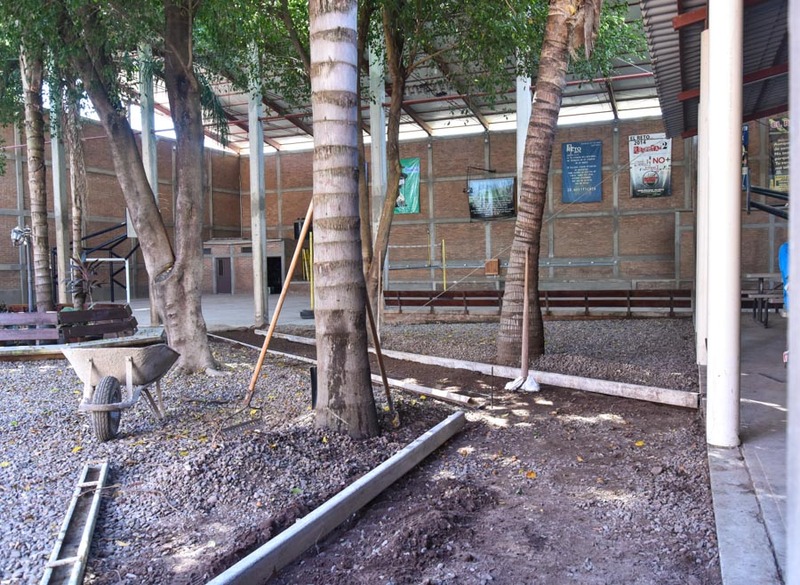 Public School Mini-RETO: We have been invited to help organize and carry out a two-day Mini-RETO for a Jr. High and High School in San Ignacio, Sinaloa November 25 and 26. Pray for safety and that we will be able to share the love of God to these students. What an opportunity! Our Student Ministries pastor, Luis, and his family will be accompanying us (the Silbermans) for this outreach. We will need $300 to cover the cost of gas, tolls, meals, and supplies. If you would like to make a special donation, please click here. Bible College: We currently have 10 students taking classes right now. We are studying Eschatology and Discipleship Counseling. It has been very helpful and challenging. 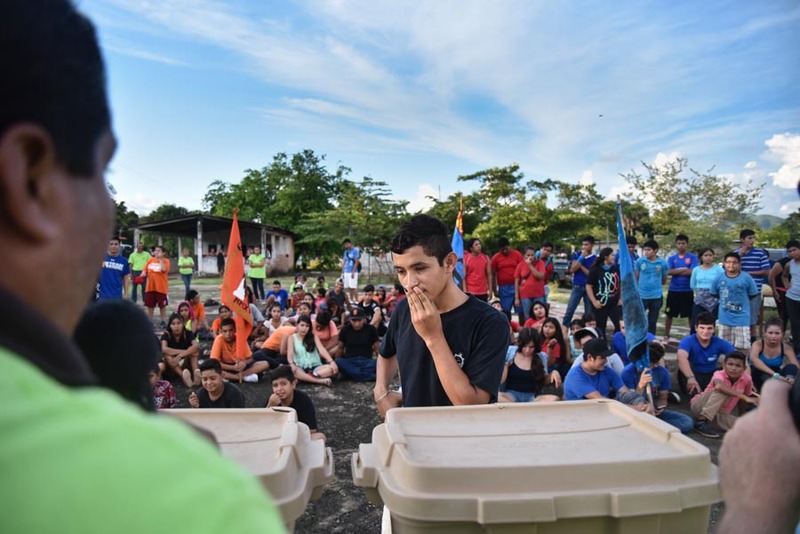 Please continue to pray for the students as they are challenged to grow in their knowledge of the Lord and practical aspects of ministry. Fall classes end on November 29. Mazatlan Women’s Conference: Eleven women from our church will be headed to Mazatlan for a women’s conference the weekend of December 2 – 4. Pray for the Lord’s anointing on the speakers and open hearts for the women. Also pray that the Lord works on the hearts of the husbands who will be staying home. Send a check made out to Alternative Missions to Alternative Missions / PO Box 3107 / Ferndale, WA 98248. On a separate note, indicate that it is for The Silbermans. Greetings from Cofradía, Mexico! 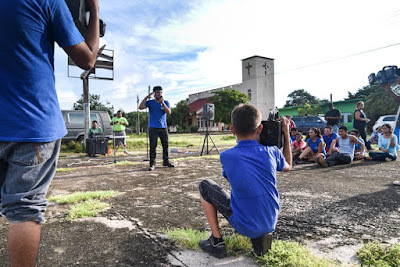 Another great season of EL RETO / “THE CHALLENGE” has passed with numerous young people being exposed to the love of God from various different churches and towns in our region; some for the very first time. We are very grateful for all who prayed for these students involved in this event. Admission is free because of your donations. 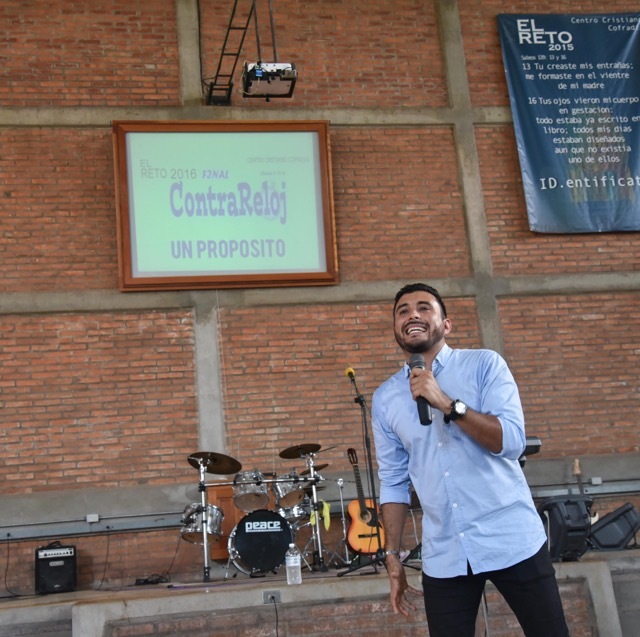 We were able to raise nearly $1,200 while in the states during the summer, $300 more of donations came in through Alternative Missions, and nearly $500 more came in through local donations and raffles here in Cofradía; some of those donors are former students who participated in past RETO’s! We pretty much reached our annual goal of $2,000! We will be continuing to put together mini-RETOs throughout the year. 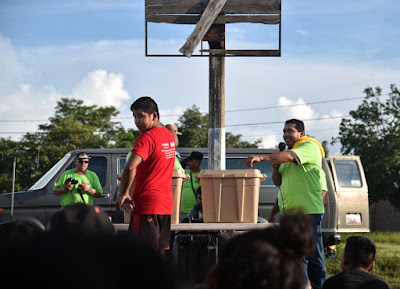 Many pastors have the itch to do this in their towns including a Jr. High in Sinaloa. You can become a regular giver of EL RETO and help people all over Mexico hear the good news of Jesus! Here is a link to get started. 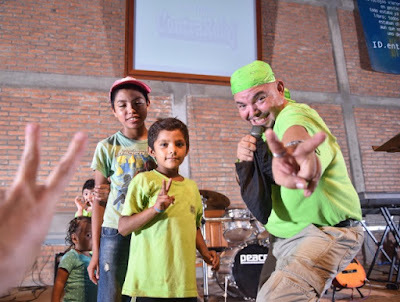 You can read reports and watch videos of each week on our ministry blog at the links below and browse the photo albums and see what the kids are saying on our facebook page. Religious Association Status. We do not expect any news until December. Drug Rehab Center. Things are moving, but they are moving slowly. We are still trying to make a partial deposit for the land. The owner is out of town and it has been difficult to get the information we need. 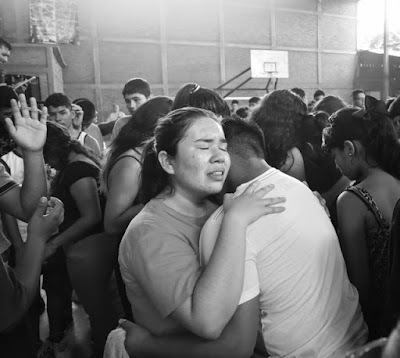 Please continue to pray for Pastor Amado and his team. Missionaries, Lain and Kelly Grant What a blessing the Grants are! We are so excited to have another couple here helping us run the base. 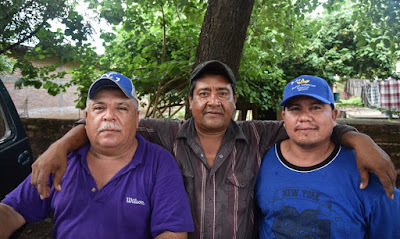 Lain has been doing an excellent job repairing, cleaning, and maintaining the property as well as helping with writing the reports for EL RETO! He also takes time out for the young people that periodically show up wanting to shoot hoops. Kelly has jumped in helping with some of the financial books, started teaching English at the Jr. High, and is doing a great job of updating our list of candidates for House Builds. 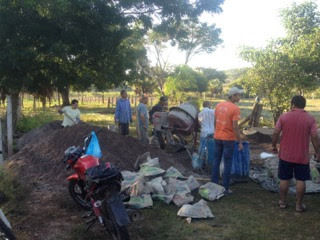 The Well Church Short Term Missions Team: We just had a team come down from Utah to work in the afternoons with the children and help us with some sidewalks on the church property. Here is a quick report on their time. Drug Rehab Center. 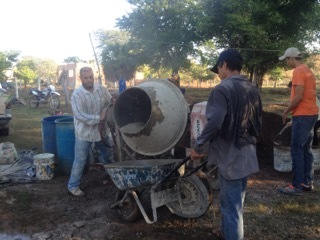 Please continue to pray for Pastor Amado and his team. Pray for protection over him, his family, his staff, and all of those involved. Let me know if you can help make a dent in the financial need he has in order to continue to purchase the land. House Build - Dwellings Team. We will be hosting a team of men next month that will be building a home for a very needy family. 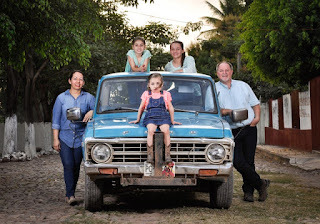 Pray for safety and an incredible evangelistic impact on this family. Sandy Garzon. Sandy has been on staff with us for the past five years and will be moving to Guadalajara at the end of November. Sandy was part of our youth group and worship band and eventually became one of our prominent Student Leaders. She joined our missionary staff as the Short-Term Missions Host while living on our mission base. She continued to minister with the student ministry and got involved in the church ministry with media, finances, Bible School secretary, and a number of other behind the scene tasks. She has done an excellent job and we will miss her. Please pray that the Lord would guide her in her new adventures in life. Online, you can make a one-time, tax-deductible gift, or set up to make automatic monthly donations to our personal support here. Send a check made out to Alternative Missions to Alternative Missions / PO Box 3107 / Ferndale, WA 98248. Please indicate that it is for The Silbermans. We just had a great group of people from The Well Church join us on a short-term mission trip from Salt Lake City, Utah. 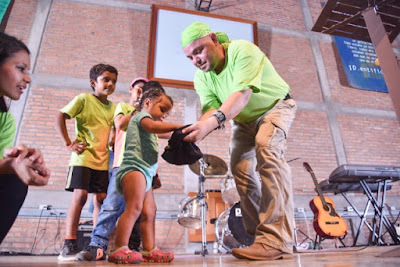 It was a blessing to have them as they shared with the children each evening in different towns. 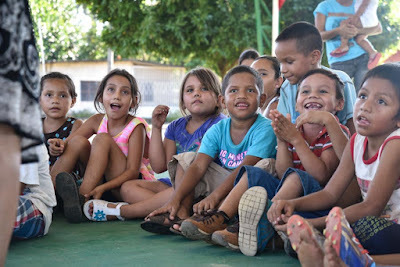 We have not had a team do this in a number of years which means this was the first team many of the children saw. The played games, shared bible stories, and had a craft for each of the children. 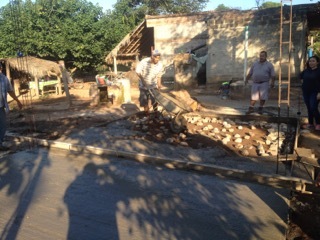 During the mornings, the team helped us add a couple of sidewalks in the church area to make it easier to get to the sanctuary for those who cannot walk well. Especially if they have a wheelchair. Just a couple weeks before the team came, someone with polio fell due to the loose gravel. 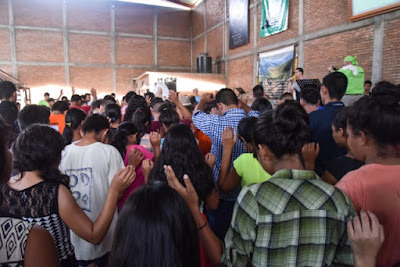 "Just returned from a week in Cofradia, Mexico from an mission trip. I went there to help, but in reality it mostly helped me. This has been the most humbling and eye opening experience I have been part of. If you find it in your hearts to give or want to participate in a mission trip, Cofradia is a a lifetime experience and the people there are so open to receive the hand of God." Thank you to The Well Church. We had an amazing last night with the students for El Reto Final! 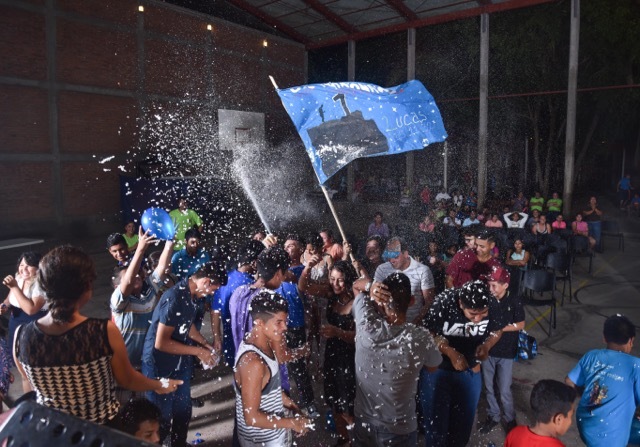 A night filled with worship from two different bands, testimonies from staff and students, a powerful message by visiting Pastor Jimmy from Cosecha Final Tepic, and a winner-take-all game between the top two teams! 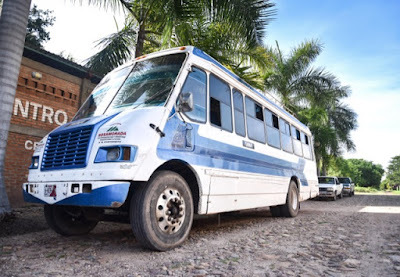 One of the worship bands was from a church in Rosamorada; because of all the people and equipment they needed to bring the big passenger bus! The students in the band were also members of the El Reto teams. We really enjoyed our time together praising our Savior’s name. They are all so humble and clearly have a strong heart for God. 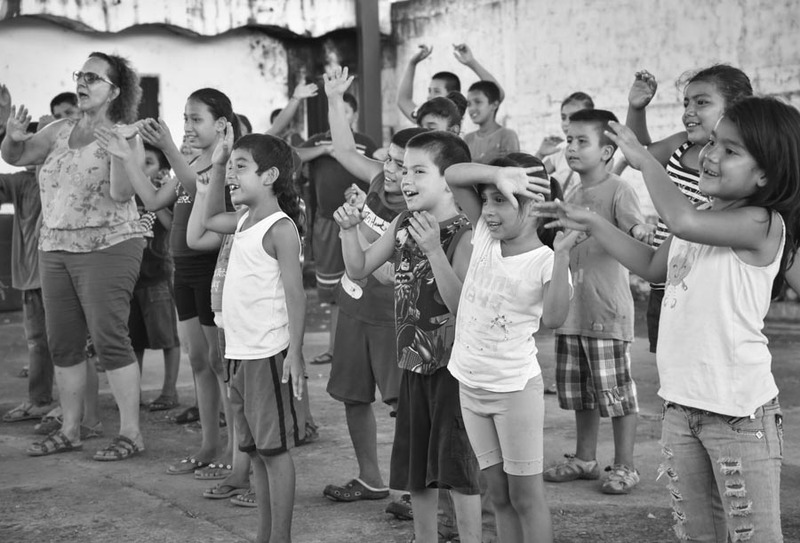 We are thankful for the opportunity to worship alongside them. 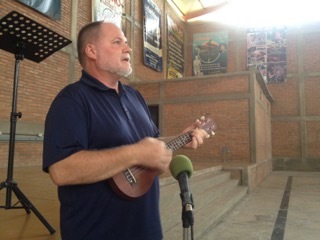 After a few songs all of us were treated to a message from Pastor Jimmy. 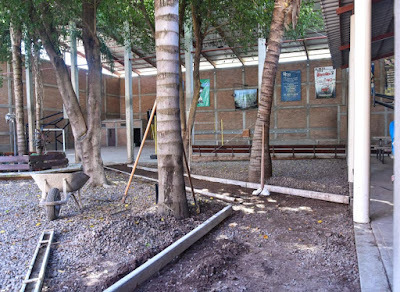 This time of the El Reto Final was so valuable not only for the students, but everyone else too. 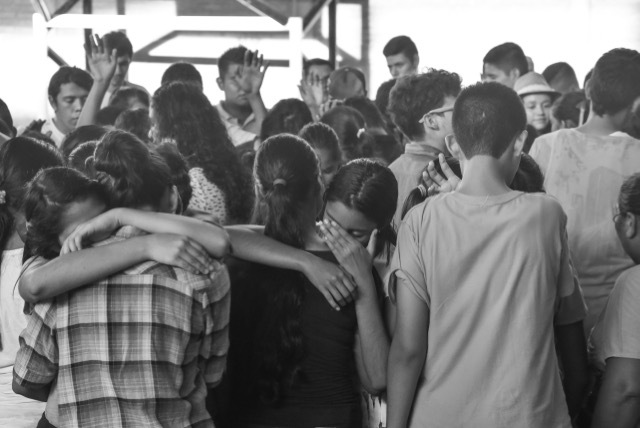 Towards the end of the message he had the students divided into two groups come forward and begin praying. Later he had them move together and pray for one another. It was an extremely powerful moment. A moment that you could easily sense the presence of God and the Holy Spirit! Now it came time to announce the winner of El Reto 2016! 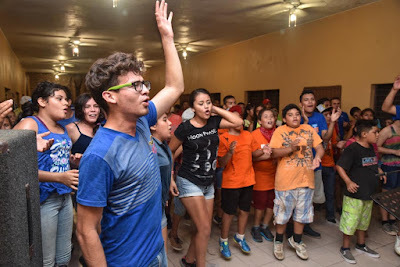 This year Yessica, captain of the orange team from Rosamorada, had the most points. Alfredo and the blue team found all four of the tesoros, or treasures, which meant they were able to challenge the orange team to one last game in order to determine the winner! So both teams had a reason to celebrate once the announcement was made. The last game really tested the students’ memory and was super intense. 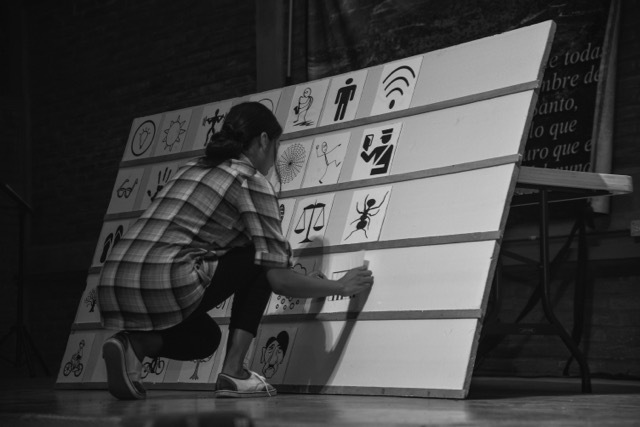 Students had to memorize pictures in order to complete a puzzle on stage. Both teams completed the puzzle but with errors. 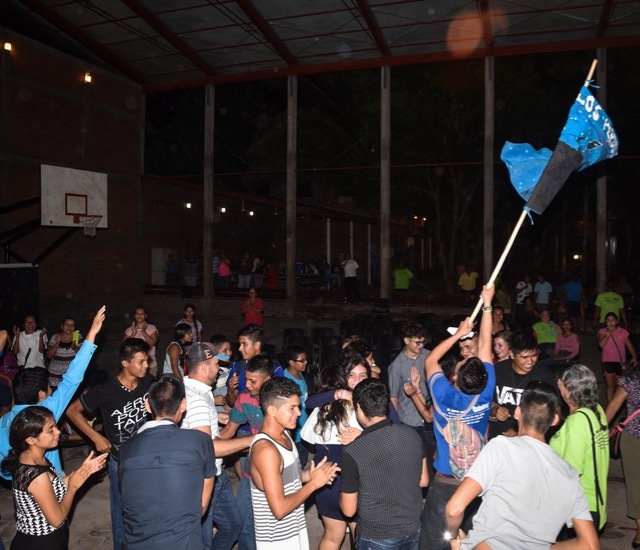 After the orange team made their mistake, the blue team was able to finish correctly and claim the name as El Reto 2016 Champions! Congratulations Alfredo! 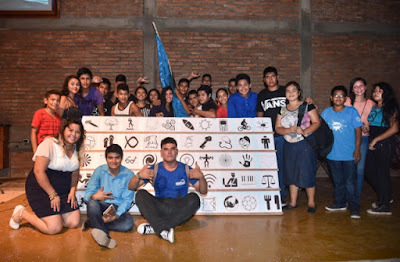 An amazing close to the past 6 weeks, I think highlighted by our time with the message and prayer. We are anxious to see and hear more testimonies from the students as they take time to reflect. We are also sad to see El Reto come to a close but are already looking forward to next year! 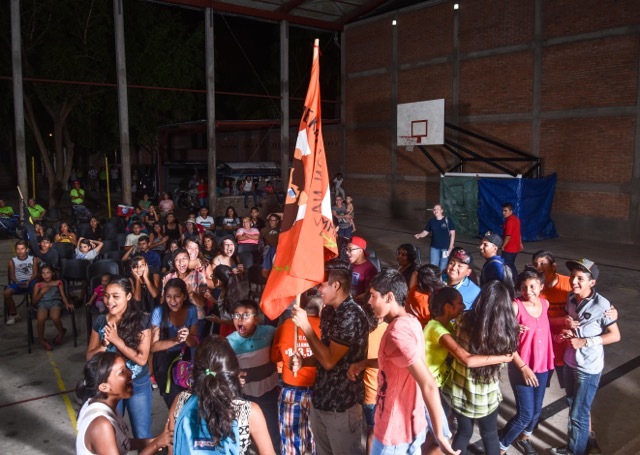 A BIG THANK YOU TO ALL WHO PARTICIPATED BY PRAYING FOR THE STUDENTS AND SENDING GIFTS IN ORDER FOR THE STUDENTS TO BE ABLE TO COME. YOU CAN BECOME A REGULAR GIVER FOR EL RETO AT THE LINK BELOW. MORE ACTIVITIES TO COME IN THE NEAR FUTURE. Going once, going twice, going three times …SOLD! 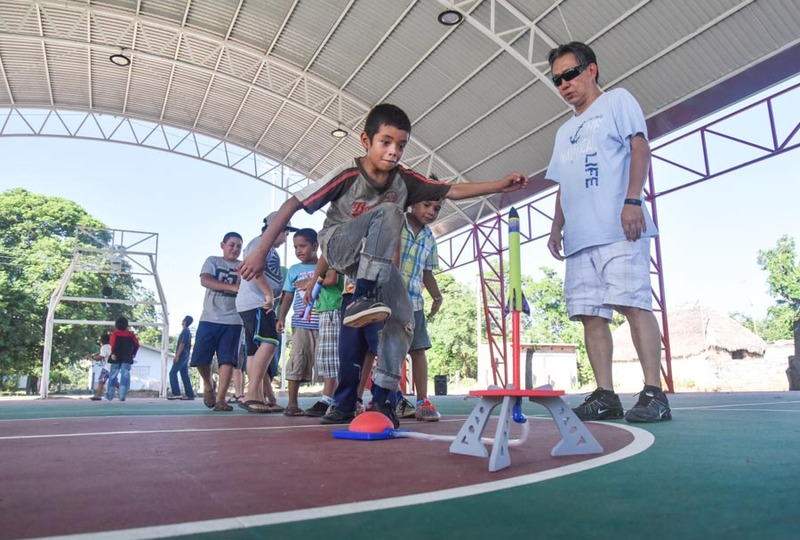 As the 2016 El Reto tour comes to a close, (one Saturday left), we held our two activities this week in the town of San Marcos. The town is not far from Centro Cristiano so many of us walked to the plaza. As we were headed there we passed a few men standing outside a store. With all the students passing by, they asked one of the staff members what was going on. 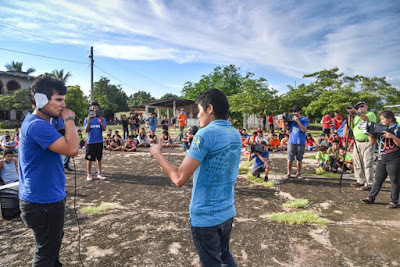 This was a great opportunity to share about El Reto and about Centro Cristiano. 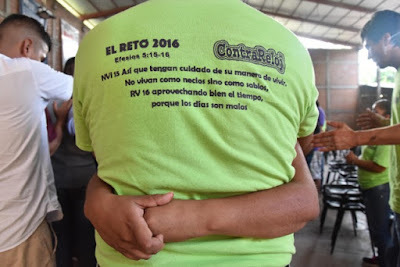 The conversation went well and we are prayerful that this conversation encourages them to visit next week’s El Reto Finale or service on Sunday! 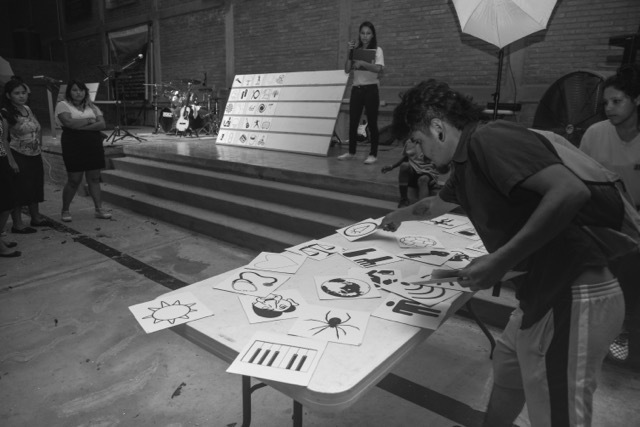 Each year, we are amazed at the talent of the young students during their projects. 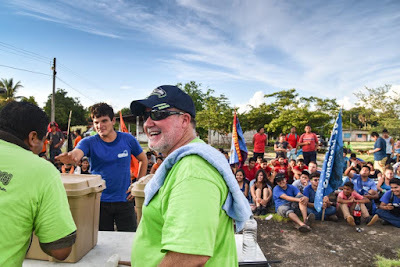 Most of the teams had a commercial theme where they took different approaches to share the Gospel and ask groups to name Jesus as their Savior, change their lives, and start following Him. 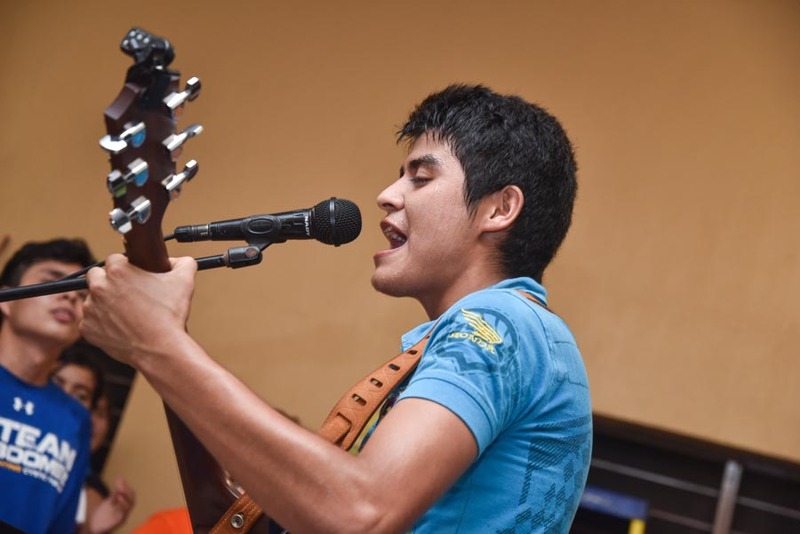 Alfredo, captain of Los Perdona2, has a few years of experience in El Reto and always does a great job with dramas or skits. Even with high expectations, his team did not disappoint. They took a lot of time to make props including camcorders and headsets that came out great! After each of the teams wrapped up, we stayed in the same spot for the Subasta or Auction. Here the teams are using their collected points from games throughout El Reto and raffle tickets sold to bid on various prizes. They have to be careful and spend wisely as points determine the winning team in the finale. 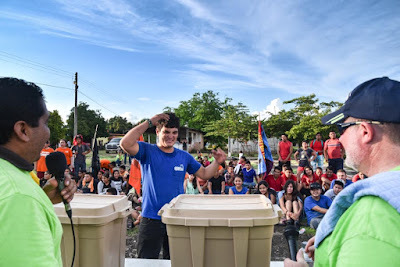 The students are bidding on unknown items in a plastic bin such as popsicles, candies, a list of all the clues for the hidden treasures, a chance for earning more points by cleaning the worship room, and pizza for their entire team. After the captains bid and win a prize, the auctioneers always bring out a second box to give them the option to switch. These are difficult decision for sure, as most of the captains will turn and get input from their team to either stick with the box they bid on, or make a last minute change. I feel like I say this every week, but this is one of my favorite events of El Reto. The students have such an awesome time with it, and I love the anticipation and reactions of everyone, when the prizes are finally revealed. 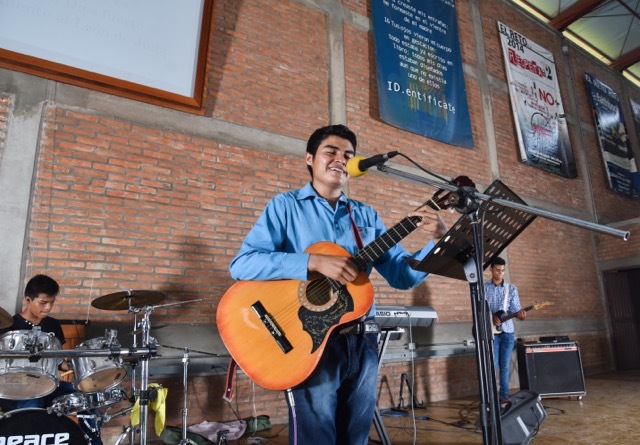 This week, members of the church in Rosamorada led the worship time for The Refuge. 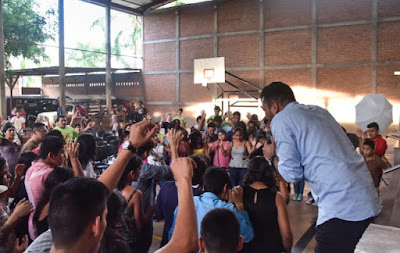 Pastor Amado, the Pastor from Rosamorada, stepped in to share a message with the students and read a few passages of scripture. Even though we experienced some technical difficulties with the sound, they rocked the room! Next week is the Reto Finale! I can’t believe we are at the end of the six weeks. Looking forward to Saturday and wrapping up our time together!